Table test is asked to check your "following direction sense". 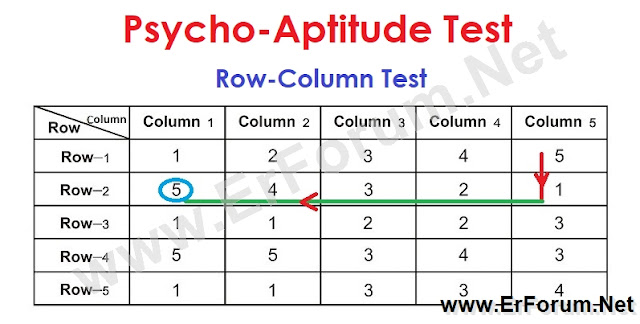 This test comes under “Test-2” (Following direction test) of ALP Psycho. As a table constitutes of Row and Column so this test is also called a Column-Row Test. 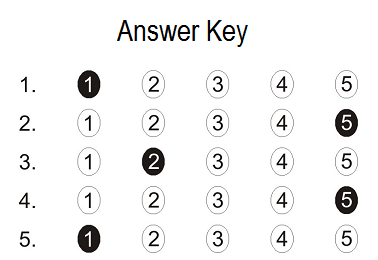 In this category of test, 10 questions are asked based on a given table with an allowable time of 5 minutes. 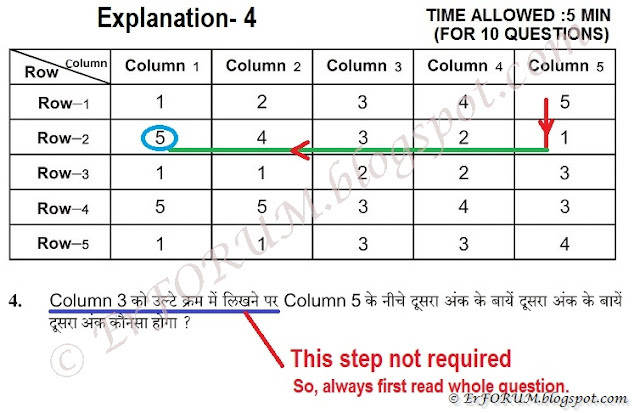 Before start solving questions based on Row-column method (Table test) we have to understand the few terms of this test. This test is asked with showing a table followed by 10 questions. You have to solve all those 10 questions based on the given table. A table consists of a number of rows and columns. Rows are horizontal and columns are vertical lines. 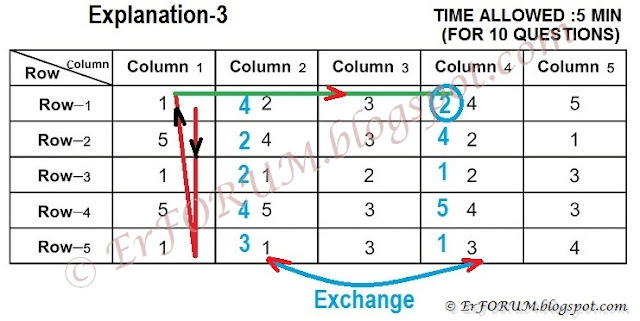 See the below table to understand row and column. Q1. Which letter is present in the 5th row and 3rd column? Q2. Which letter is present in the 3rd row and 3rd column? Q3. Which letter is present in the 4th row and 3rd column? Q4. Which letter is present in the 1st row and 5th column? Q5. Which letter is present in the 3rd row and 4th column? Now we assume that you become perfect in understanding Row and Column of any given table. 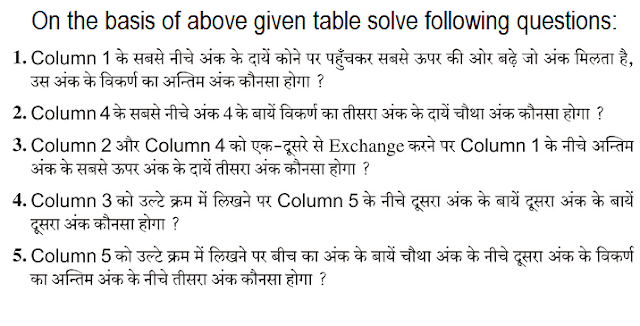 After understanding these basics of Table test lets start solving questions. However, a few other terms are also important but we learn those terms at the time explanation of the questions.